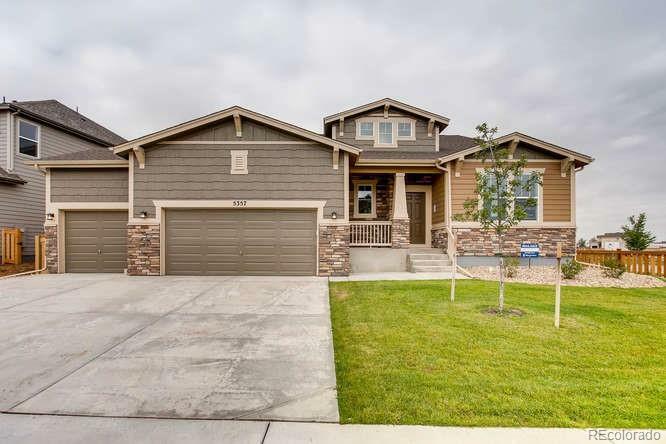 MOVE IN READY!This beautiful open ranch plan offers 3 beds, 2 baths & UF bsmt w/9ft ceiling. Kitchen w/gas range, sunset gold granite counters, enormous super pantry, island, cabinets w/crown molding, Hillside Hickory Ember Laminate Floor. Lg master w/luxury bath option & walk-in closet. Gas fireplace, A/C, covered patio and 4 Car garage! Full landscape included. Fully fenced yard. $3000 Preferred Lender Incentive!